As I write, I look out on a thick blanket of snow rolling down to a frozen white lake. Ice fog blurs the landscape. The temperature outside is 7° F. The snow lies at a depth of 12 inches, and more is on the way. 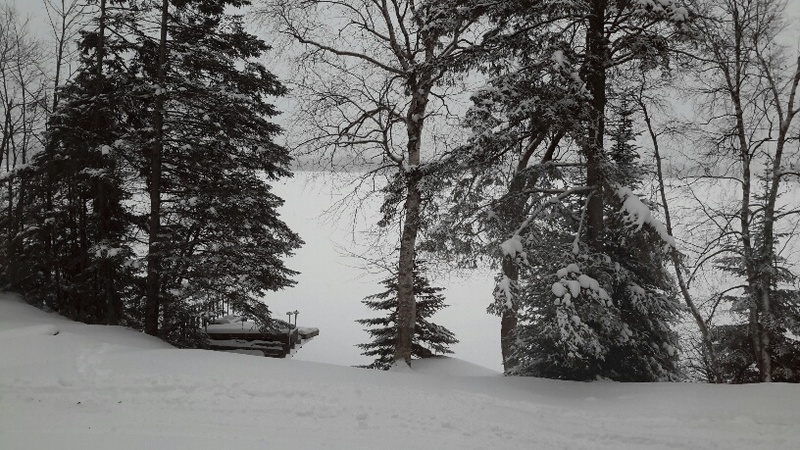 Our cottage in northern Wisconsin is in the path of another storm. I say, bring it on. Come mid-December, when many Ohioans dream of white sand beaches or the warm hues of the desert, my husband and I head north. Far north. Give me a white Christmas, please. Up here in ski- and snow-mobile territory, “Let it Snow” is the winter motto. I wouldn’t mind going farther north. 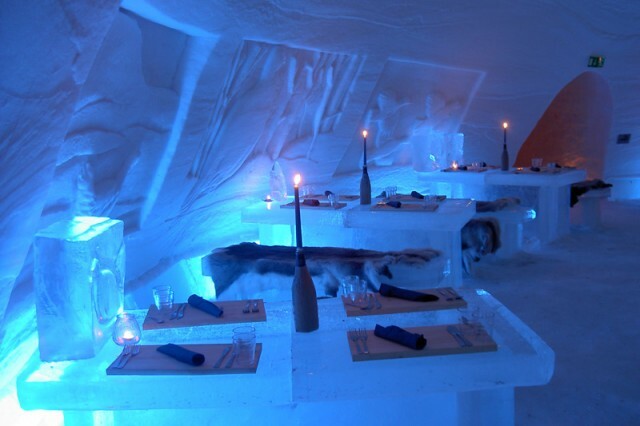 Near the top of my travel “bucket list” is a stay at one of the fabulous ice hotels in Scandinavia, although I’d settle for the one in Quebec. I’ve always been a winter lover. A November baby. Born in the Danish settlement of Racine, Wisconsin. Every day, so I’m told, my mother bundled me in my pram and rolled me outside on the porch for an hour or so. It was supposed to keep me strong and healthy. In Scandinavia women still put their babies outside in sub zero weather. That’s where they get those pink cheeks. I love mystery novels set in cold climates, too. One of my favorites, Charles Todd’s A Cold Treachery, is set in December of 1919. Scotland Yard Inspector Ian Rutledge is sent out in a violent blizzard to investigate the murder of a sheep-farming family in a remote village England’s Lake District. So effectively did the authors [Charles Todd is a mother-son writing team] use sensory details to create the bitterly cold world of the novel that all I have to do now is think about the story and I want to curl up in front of a fire with a mug of hot tea. After all, the joys of winter include such things as a blazing fire, warm sweaters, flickering candles, and steaming hot drinks. Merry Christmas! Check out my Pinterest board, The Joys of Winter. So much beauty, but my Minnesota roots have worn off, I get way too cold in the winter! Thinking warm thoughts of you! I will have to find the book you mentioned–it sounds interesting! Enjoy your time and snow in Wisconsin and have your best Christmas yet!